Nancy Pelosi says Trump’s Decision to Defend Himself is “Authoritarian”! Nancy Pelosi appeared on CNN’s State of the Union with Jake Tapper on Sunday to spin her yarns and tell her tales about President Donald Trump. She called the President the “deflector in chief” before choosing to deflect herself when Tapper began asking her about her sit-downs with the Russian ambassador. She also deigned to imply that President Trump was acting as an authoritarian when he chose to defend himself from the liberals’ scurrilous attacks that he was somehow an agent of the Russian government. 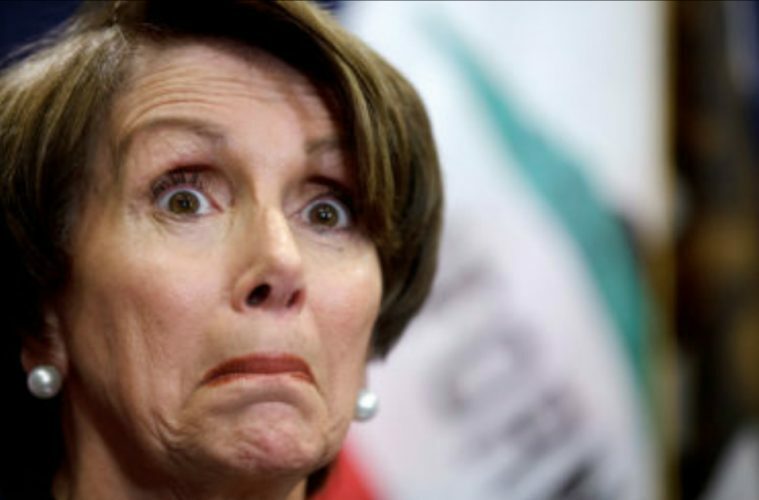 Apparently, in Nancy Pelosi’s world, whenever liberals attack your character, say you’re unfit for office, or imply that you may be a criminal usurper… you should just sit quietly and take it. Well, the president, you know, is the deflector in chief, anything to change the subject from where the heat is. And, as one who has been engaged in intelligence, a member of the Gang of Eight, for a long time, I can tell that it’s just ridiculous for the president, President Trump, to say that President Obama would ever order any wiretap of an American citizen, any president.